My very dear friend, Al. for more on this pattern. Eek out the last few months of winter. And thank you all for your wonderful comments on my Valentine's Day countdown posts. Your interest and kindness reaches deep into my heart and warms me to the very core. You are all my special Valentine's! 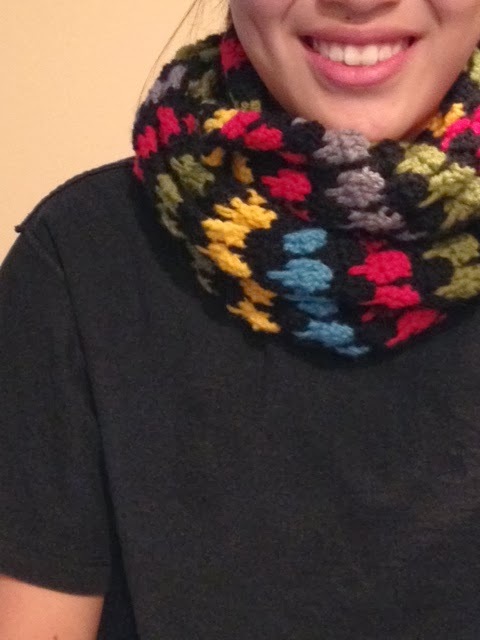 What a lovely scarf and such a charming model to show it too! Have a happy Sunday! I love that top, right photo - so cute. 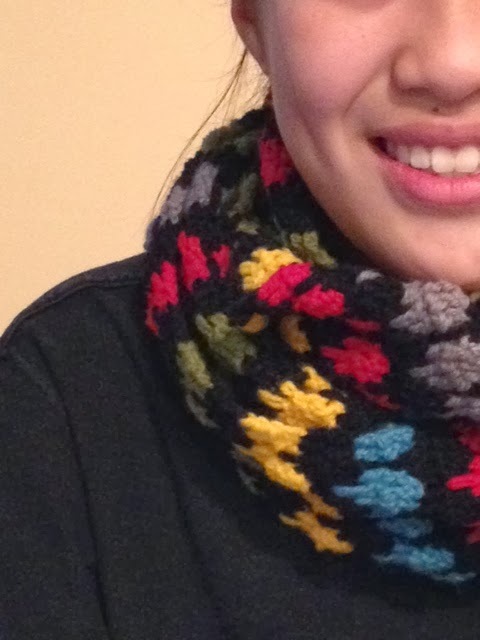 I like the scarf pattern too. oh i love the colors... beautiful!! 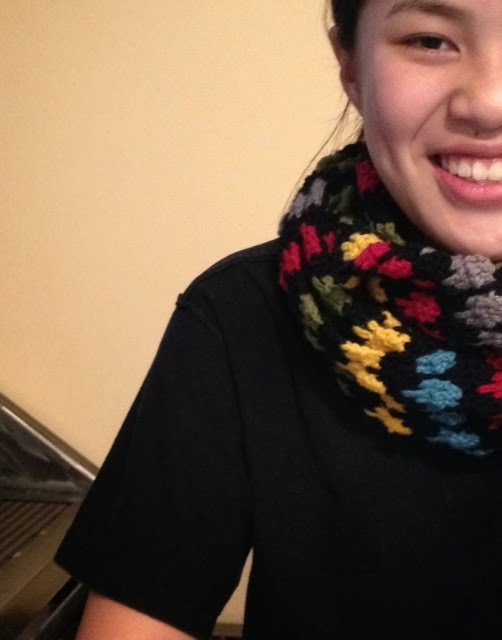 It's a really nice scarf.